I am writing to tell you I really like your Gullwing Paddle. It's awesome! I currently run a large kayaking group in SE Florida (570 plus kayakers) and after about two years of "herding cats" in the waterways here on the Treasure Coast I blew out my shoulder with a partially torn rotator cuff. My doctor said either get it operated on or stop kayaking. I stopped kayaking about 4 months and it's been like holding my breath. I get my medical treatment through the VA and they started PT on my shoulder. I was making slow improvements but really missed being on the water. Recently I saw your Gullwing Paddle advertised and bought one hoping it could help. It arrived a couple of weeks ago and I did a short test run in the gator pond behind my house and it didn't hurt. Good news. So I asked my ortho doctor about it and he said if it doesn't make me reach overhead and doesn't hurt to go for it. Afterwards I went paddling for about 90 minutes with no pain and not even a slight problem. I really like the fact I am using a rowing motion with this paddle rather than a stab and pull motion with a conventional paddle. My kayaking buddy tried my Gullwing and is in the process of ordering one because he is an old guy like me and was immediately jealous. So I want to thank you for designing something that works so well and allows me to do something I love. I can go back to taking my group out . I will send photos when I can. Wow, I'm impressed! 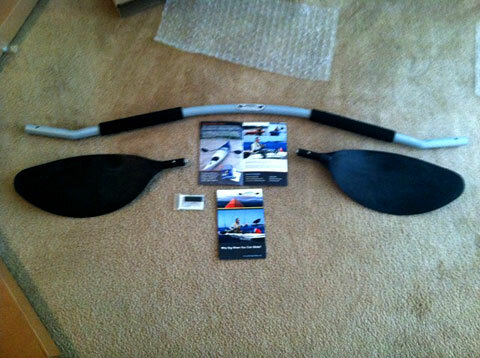 Love the product and won't use any other kayak paddles since I've gotten them. Everyone on the river asks me about them and raves when I let them try these. My mother has back issues and this paddle has make it so she can actually kayak with us it has made such a difference. Thanks for your timely reply and for your great product! Quick follow up. Got the grips and leash, thank you. The paddles are truly amazing, I have had several people try them out. They will be ordering one for themselves. Congratulations to you and your team for bringing this innovative vision to market. During my search for a better paddle than the AquaBound Expedition AMT that I have, I stumbled across the Gullwing paddle. I was curious as to whether it was really all that easy to use. 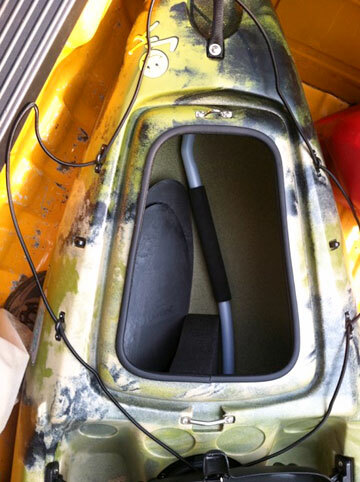 I also had questions concerning it fitting inside of my Coosa for transportation, being that it has a 1 piece handle. I couldn't find any information regarding local dealers, so I emailed the customer support address provided on their website. After a few short emails between Arthur Carlow, the designer/owner, and myself none of my questions had accurately been answered. This was not at all an issue because all of my questions were specific to the Coosa. Art was gracious enough to send me a paddle to demo since he didn't have answers to my questions yet. He promptly shipped me a 230cm version with the optional foam padding for the handle. Less than a week later I awoke to find a nice new box on my door step. I opened it to discover the gullwing paddle. I was impressed with the packaging, appearance and craftsmanship. I did not have a scale handy, but it felt extremely close in weight to that of my 240cm AquaBound. Assembly was very easy, the paddle blades simply slide into the ends of the handle and lock into place with push buttons. It was as easy to take the blades back off as it was to put them on. The next trip I attempted using the Gullwing with the seat in the high position paddling up a very slow flowing river. This did not turn out very well. The angles are too narrow and the overall length of the paddle is too short for paddling in the high seat position on a Coosa to be very enjoyable. I ended up switching back to the longer straight shaft paddle half way through this trip. Finally I used a friend's Perception Sport Patriot sit inside kayak on a recreational trip. The Gullwing paddle was even easier to use in this boat than on my Coosa with the seat in the low position. I paddled down a river for approximately 9 hours without any difficulty or fatigue. This trip had mostly slow flows, but there were a few faster areas due to downed trees and sand bars. After 2 weeks of use in various situations, I really liked the Gullwing. However, I did end up sending it back instead of keeping it. I primarily use my Coosa when I am on the water, and I prefer to use it in the high seat position. There were some minor things that I feel should be noted about the paddle. I feel that the optional foam pads are a must unless you consistently wear paddle gloves. The powder coated aluminum shaft gets pretty warm when sitting in the sun. The pads kept this from affecting my tender hands. The pads also kept me from getting any kind of blisters on the inside of my thumbs. 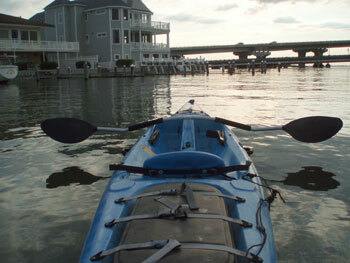 I would not hesitate to recommend anyone with a standard sit inside or sit on top kayak try this paddle out. I wouldn't recommend this paddle for anyone with a Coosa that plans to do much paddling with the seat in the high positon. The customer service and overall experience with the company was of top notch quality, I enjoyed dealing with Mr. Carlow. I am in no way affiliated with the Gullwing Paddle company, I simply wanted to share my experience with them. Their website is www.gullwingpaddles.com if you want to check out more information on their paddles. With the blades off the handle easily fits inside of the front hatch on the Coosa. The paddle sits nicely on the paddle staging slots, and stays in place well in the side paddle holders. The first use test was in a cove on the lake behind my house, with the seat in the low position. It was noticibly easier to propel the heavy Coosa with the Gullwing paddle. I paddled around, back and forth for nearly an hour and felt very little fatigue in my shoulders and arms. The second use was paddling up a local river in order to fish while floating back down. This trip the seat was also used in the low position and I found it easier to paddle with the Gullwing than the AquaBound paddle. I did notice that the more flexible blades on the Gullwing weren't as easy to push off rocks with when I would get hung up in shallow water. I did some very serious heavy duty pushing with them against gravel and large rocks, they did not break although they do flex a good bit. I also noted that my legs stayed completely dry while using the Gullwing. When properly used the blade that is out of the water never crosses over the boat. Bill McKenna gave me the paddle that you gave him last week when I visited him in Boston . Believe it or not, I removed the blades, packed them in my carry on, and hand carried the shaft through security and onto the plane. I got a lot of attention as no one could understand how I got it through security and that made them curious as to what it was which I told them. A great marketing ploy if they let you through security with it. Anyway, I sent Bill some pictures I took last night and a brief testimonial you are welcome to use. Also, how are you handling distribution and dealers? I want to show it to a few local kayak shops and see if they would be interested in carrying the Gullwing. 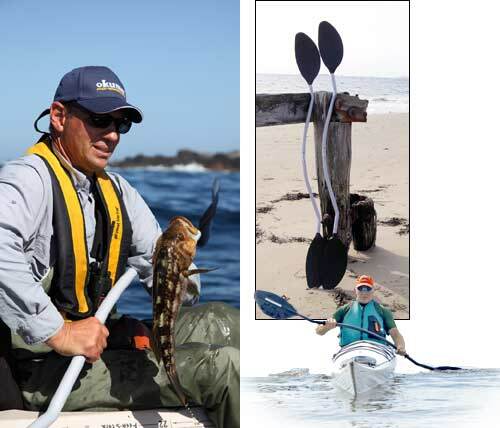 “I’m a professional kayak fisherman and I think your Gullwing paddle design is great. 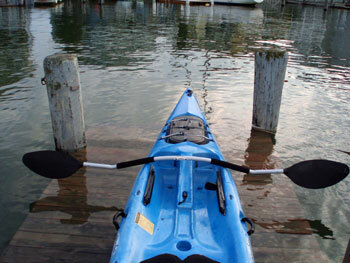 It’s lightweight and easy to use and no matter how I place the paddle, on my lap or across the kayak's bow, it always stays in the ready-to-go position. What do I think about my Gullwing paddle? One word, AWESOME !!! I think your Gullwing paddle is wonderful! 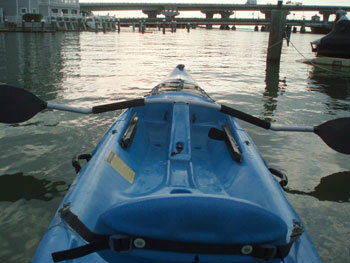 I’ve used it over a dozen times in the bays and ponds around Fort Myers. It’s so lightweight and easy to use! My husband and I love your Gullwing paddle! It has a great feel and you don’t have to dig like you would do with a traditional straight paddle. I can now paddle straighter than I ever did before and my husband says the paddle does not affect his rotator cuff issues. I am a 54 year old fishing guide with a few neck issues. I love your paddle. I paddled for several hours on a large lake in the wild, and it was great. I would not use a traditional paddle again! I am a young woman and head of a local kayak club. I think your paddle is great. It’s easy on the shoulders and arms, it allows you to easily glide through the water and it’s nice and light.